When you begin your child’s dental check ups, you are establishing a dental home for your child. 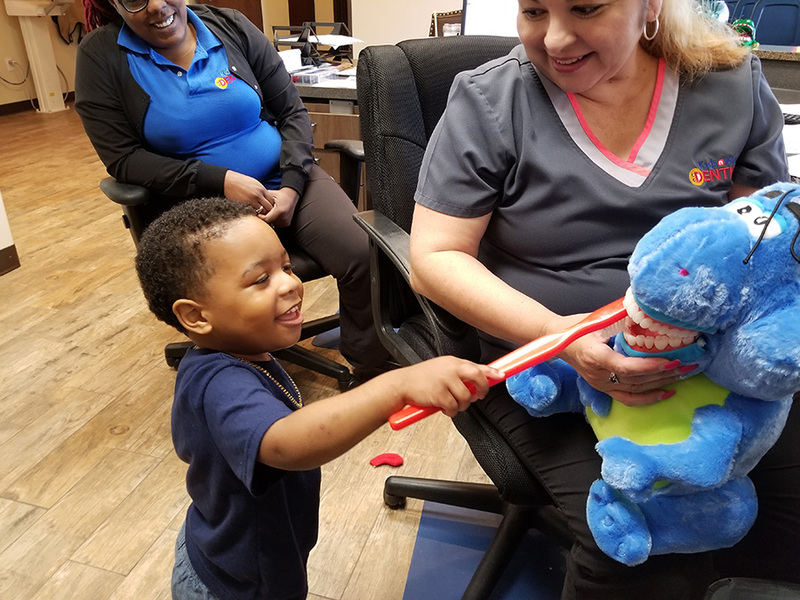 We provide guidance for your growing child with periodic oral health evaluations in familiar surroundings. Starting at birth, clean your child’s gums with a soft cloth and water. As soon as your child’s teeth erupt, brush them with a soft-bristled toothbrush. If they are under the age of 2, use a small “smear” of toothpaste. The two biggest factors in cavity prevention are limiting the amount of time your teeth are exposed to sugars and good oral hygiene. Prolonged use of bottles and sippy cups expose teeth to sugars and increase caries rates. Brushing your teeth twice a day and flossing every day will help prevent cavities. 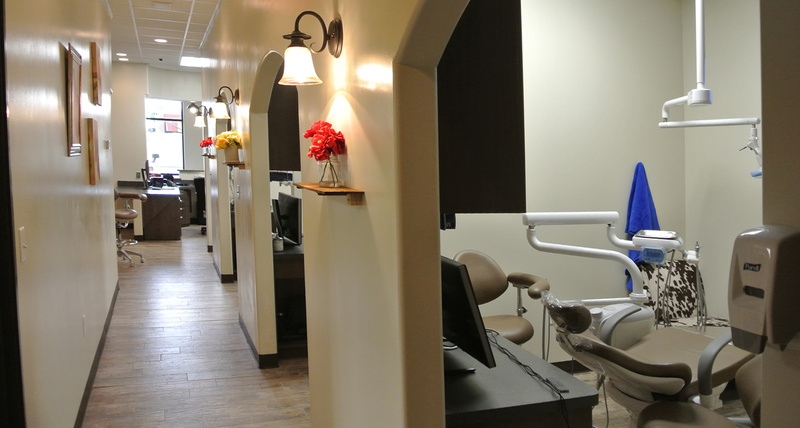 Our office provides dental treatment to all ages. We strive to make dentistry easy in every way. Our staff is compassionate and understanding. N More, it is important to us to ensure comfort and satisfaction. Dr. Rackham has put his efforts into building an environment that is not just kid-friendly, but that parents feel welcome as well and are encouraged to be a part of their children’s care. Dr. Rackham is not just warm and friendly, but has a history of being a hard worker who has put his all into his practice. Dr. Rackham spent a good amount of time preparing for his dental school acceptance test and was able to test in the top 5% of the nation. He was able to get into dental school with 3 years of undergrad. 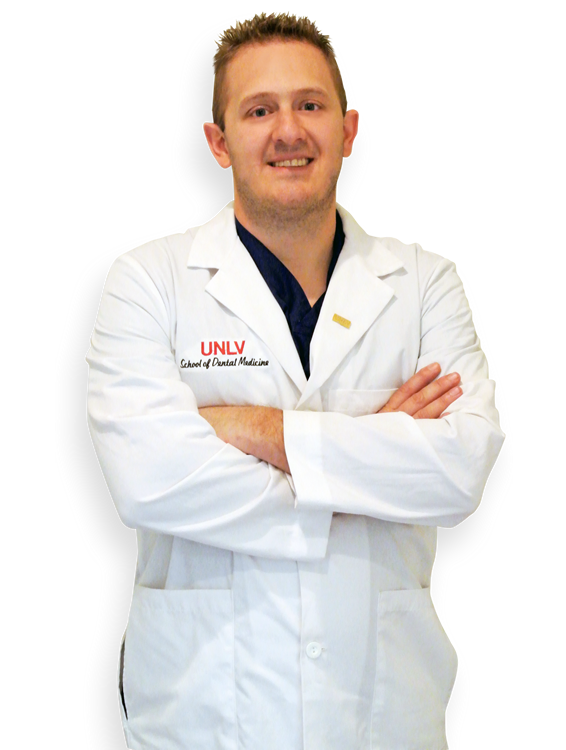 Once he got into dental school he was involved in doing various oral cancer screenings in geriatric centers, he also began working with Kids for Smiles, and spent time educating the underprivileged kids of Las Vegas. Dr. Rackham ultimately found his home here San Antonio, and has since been practicing here for over 4 years. He has been working mostly with kids while in San Antonio, however, he does a lot of work with adults as well. He and his wife recently went to Honduras for a week to do a medical mission, and although Honduras was rough and realized how much help some of these countries need, they plan on going back and doing more health missions.